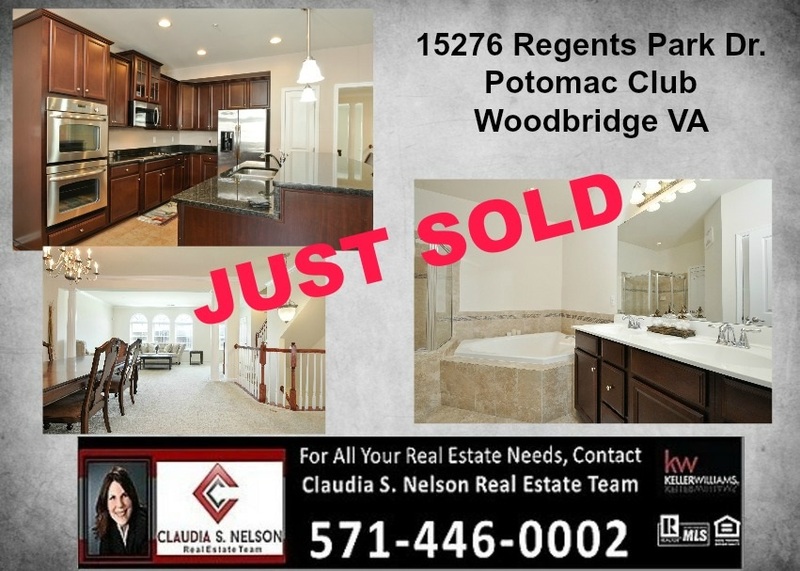 The Claudia S. Nelson Real Estate Team has sold many many homes in Potomac Club. So happy for both the seller and the buyer. The buyer is getting a beautiful almost brand new home in the gated and amenity filled community in Potomac Club. This was the most recent home The Claudia S. Nelson team sold in Potomac Club. 15276 Regents Park Dr. Woodbridge VA 22191. A beautiful Picasso Model, one of the yougest homes in Potomac Club with ample of parking.